Our Plume feather inserts are specially designed for the classic “ karate-chop” look. 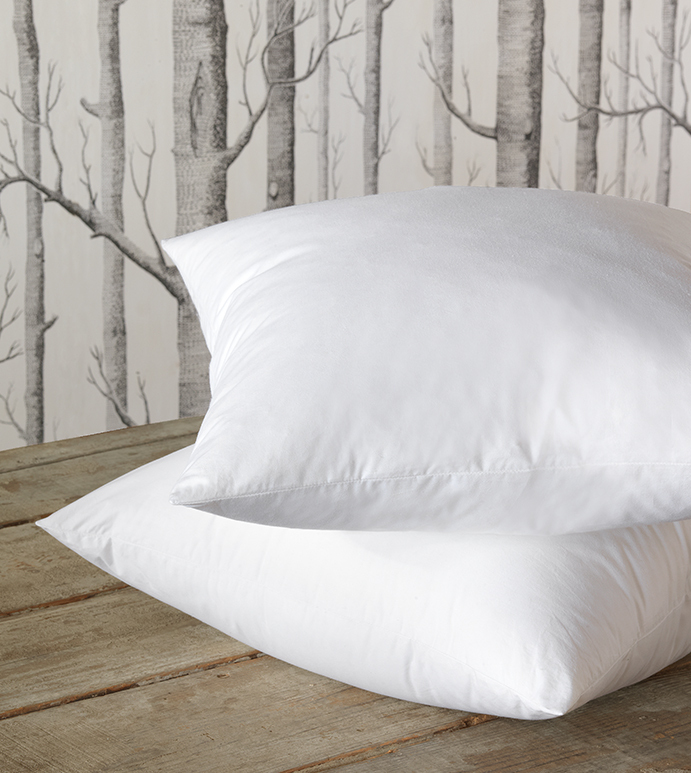 A perfect fit in our decorative pillows, these inserts are constructed with our crisp 100% cambric cotton cover and filled with our fluffiest feathers for plenty of loft. With its perfect blend of loft and crunch, our Bliss blend inserts offer a luxurious feel and look. The crisp cambric cotton cover is filled with a blend of microfiber and small feathers specifically constructed for a perfect fit in our decorative pillows. 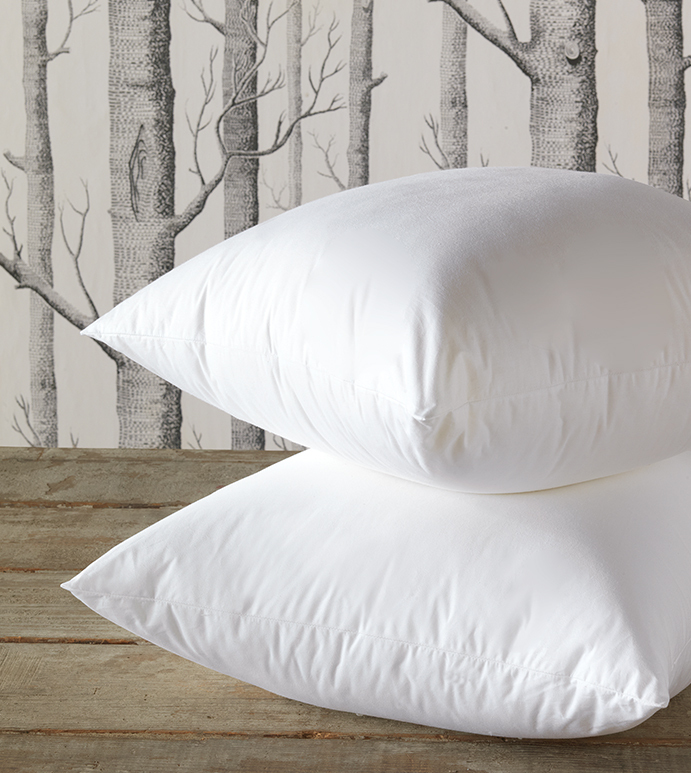 Our Cloud faux down pillow inserts are filled with an ultra-fine microfiber engineered to imitate the loft of down. 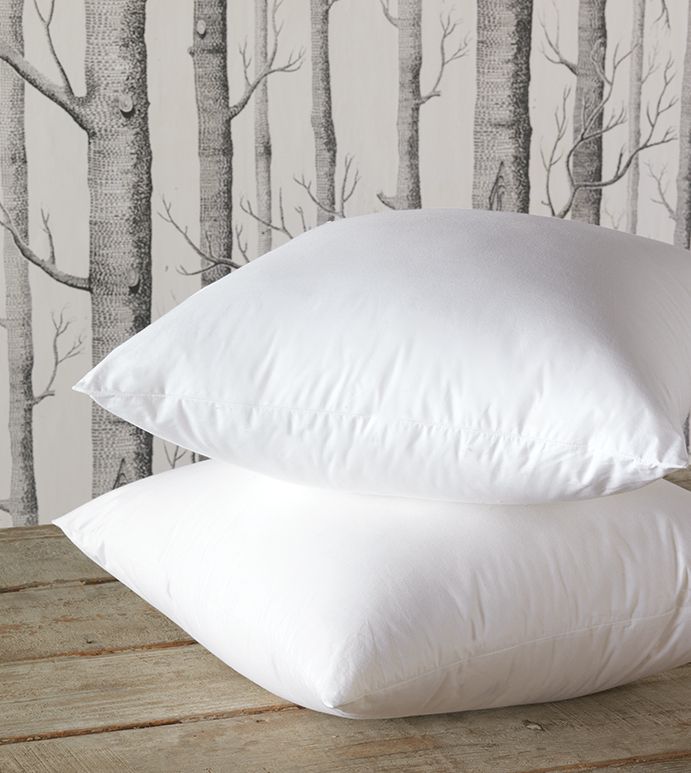 The high quality filling will keep your pillows full for years to come, and are the perfect option for those with sensitivities to down. Take your home dé cor style outside! 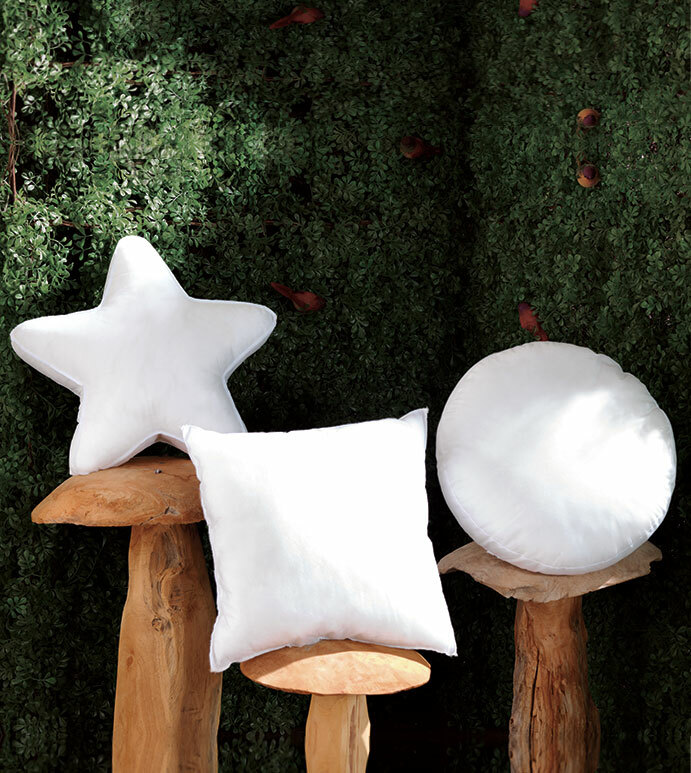 These inserts are specially made to suit our outdoor pillows, with the same wonderful weight and feel of our indoor pillow inserts, but with non-woven, waterproof, and mold-resistant cases. Patio perfection made easy!